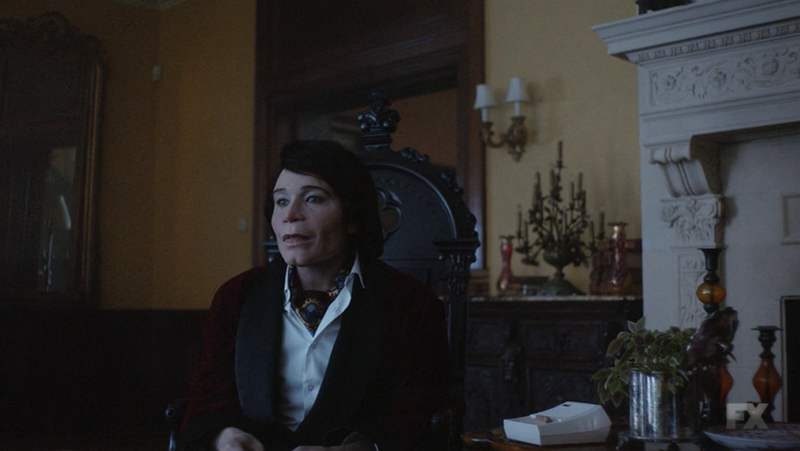 That’s Teddy Perkins, the creepy recluse from the Atlanta episode of the same name, having apparently survived the fatal run-in with his brother at the end of the episode. In the show, Teddy was played by Atlanta creator Donald Glover under heavy makeup and prosthetics (though the show never broke the illusion), but it’s unclear who’s playing him this time around. Is it Glover? Is it “Teddy Perkins” director Hiro Murai? Is it someone else connected to Atlanta? Or has Teddy Perkins somehow been brought to life, and now he’s been unleashed into the real world to… attend the Emmys? It doesn’t make a whole lot of sense, but nothing with Teddy Perkins ever really does.